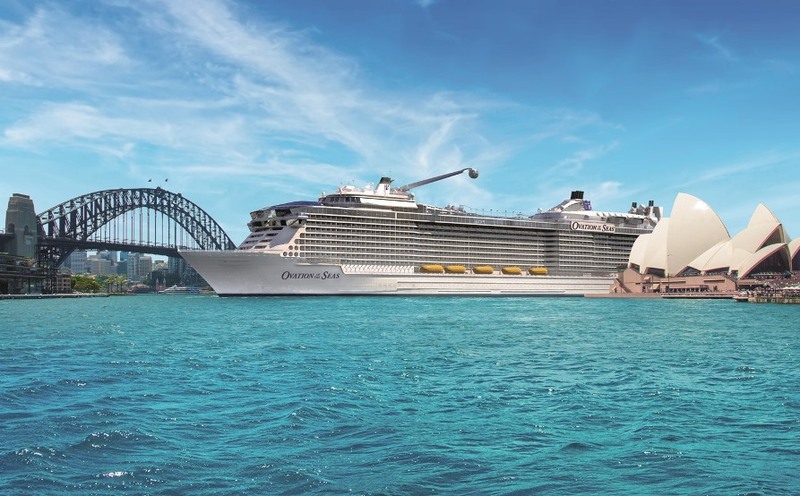 Ovation of the Seas, Royal Caribbean’s latest cruise ship megaliner – currently under construction – will arrive on Australian shores in December 2016, in time for the summer cruise season. 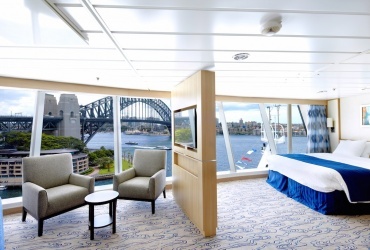 The Quantum Class vessel will be the largest and most technologically advanced cruise ship ever to visit Australia. 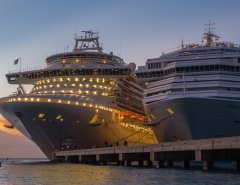 Royal Caribbean has been at the forefront of cruise ship development for several decades, and this latest move is a tremendous investment in the Australian cruise industry. 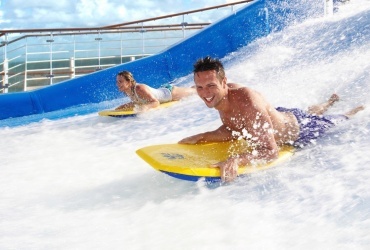 “While We’ve introduced many firsts to Australia, including the newest, largest and most modern megaliners with features like ice skating and surfing at sea, this is the very first time any cruise line in the world has home ported a brand new ship in Australia,” said Gavin Smith, regional vice president, Royal Caribbean, Asia Pacific. 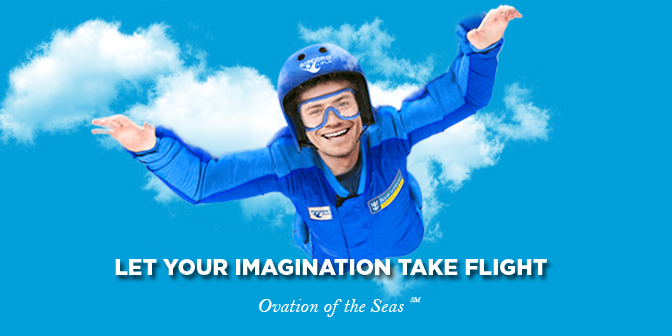 Royal Caribbean’s reputation for thinking big is there for all to see on the Quantum Class ships. 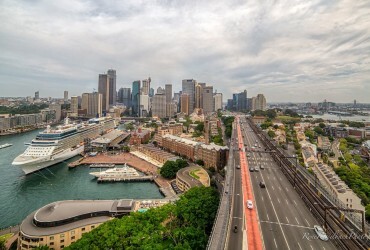 Ovation of the Seas will introduce Australia to the latest cruise ship innovations, state-of-the-art features, and technologies that have never been seen before. 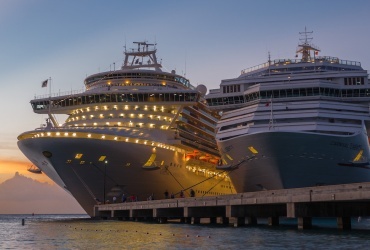 Australians are sure to be awed by the grandeur of Ovation, and will also appreciate the significant economic benefits of hosting the vessel in our home ports. 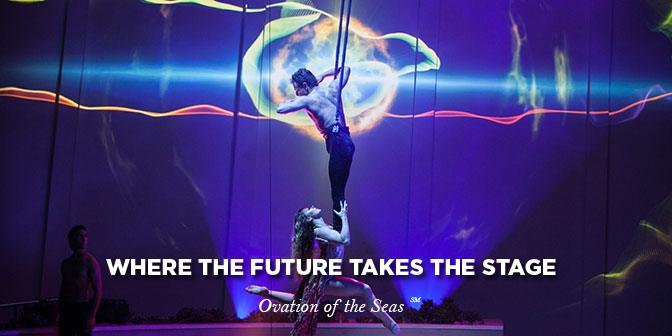 Ovation of the Seas features The North Star aerial observatory which rises jewel-like more than 90 metres above sea level – higher than the Sydney Harbour Bridge pylons. 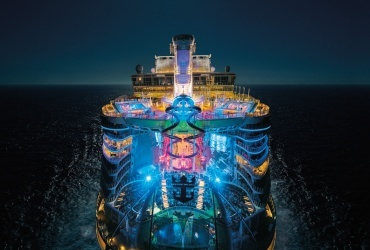 ‘Two70’ is another Royal Caribbean initiative, where a transformative area morphs from an expansive lounge by day into a multimedia extravaganza at night. 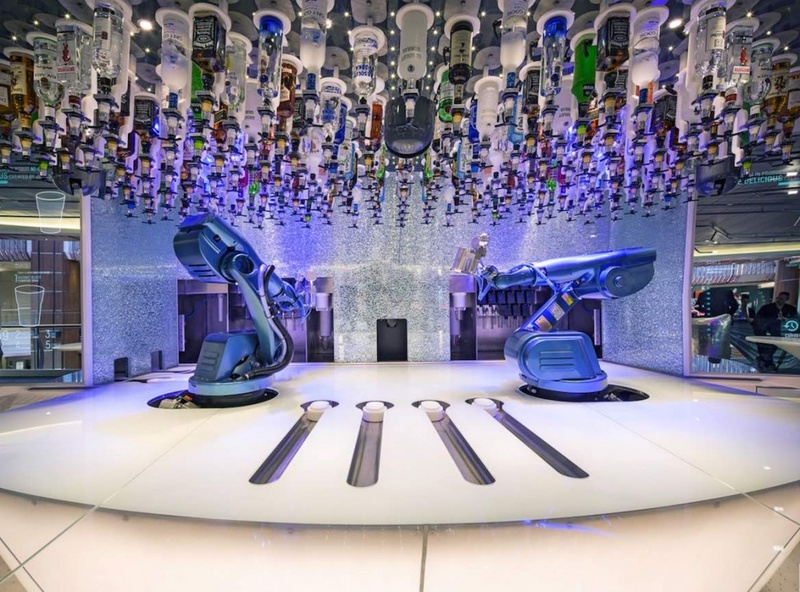 The much heralded Bionic Bar is a unique innovation, where drinks are expertly mixed and stirred by futuristic robot bartenders without any human assistance. 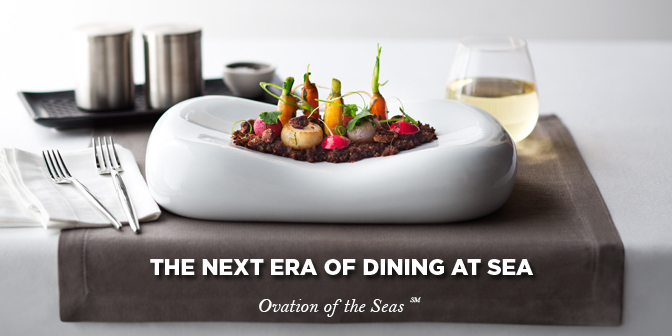 Ovation is more than just a cruise ship – it’s a smart ship. 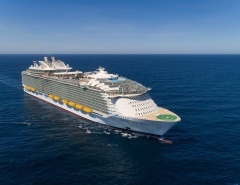 Progressive Wi-Fi technology will keep you in the loop with family and friends back home, and high-tech wristbands mean you don’t need to carry cabin keys with you while swimming, exploring or taking day trips onshore. 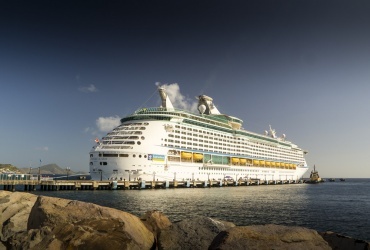 Energy efficiency and environmental awareness also plays a large part in Royal Caribbean development. 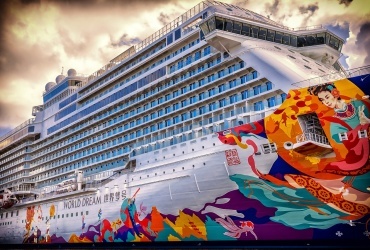 The ship will use less energy than those built in previous years, reducing fuel consumption. Advanced systems are also in place that will remove more than 97% of harmful engine emissions. 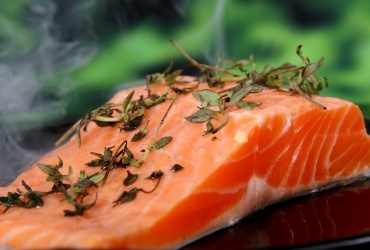 Gourmet food is not overlooked either. The world’s most recognisable chef, Jamie Oliver adds his quality to Ovation with the addition of ‘Jamie’s Italian’, his third restaurant on a Royal Caribbean ship. “The response we’ve had to Quantum of the Seas has been brilliant, so it just makes me even more excited for this one to open,” Jamie said. 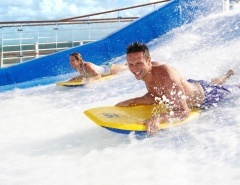 To put it simply, Australians are about to discover the most progressive and exhilarating style of cruising ever. 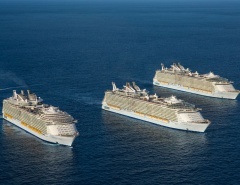 Fares are set to start as low as $199 per day, with bookings for inaugural Australian cruises on Ovation of the Seas open in mid 2015. 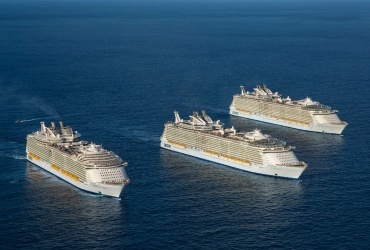 Interest can be registered at www.royalcaribbean.com.au/vanity/Ovation to receive the most up to date.